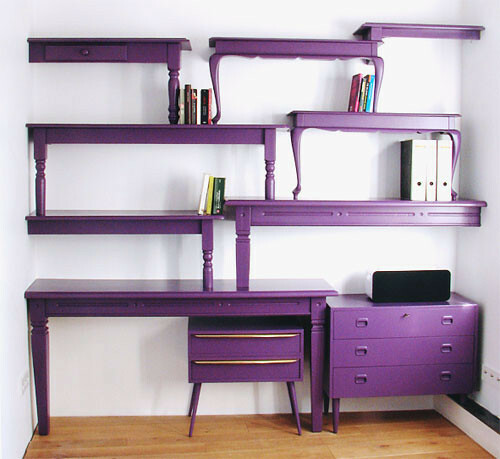 Desk Bookshelves– Used desks were repurposed to be used as a bookshelves. I love the idea!! 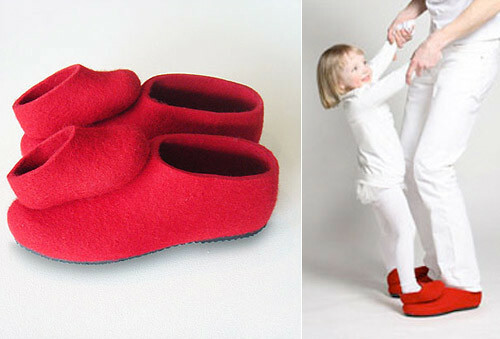 Dance Shoes– How cute are these?!? Very cute, I must say!! 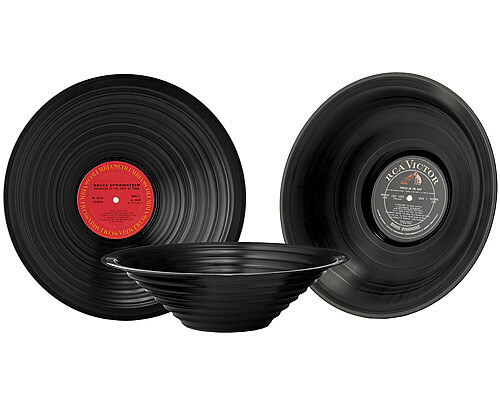 Record Bowls– Just recently I told myself that I would start collecting bowls and platters for serving. These bowls are going to have to be added to my collection someday. Granny’s Baked Custard– It’s not just the recipe that caught my attention when I stumbled upon this, it was the illustration. All the recipes on the website are drawn for you and the artwork is so much fun to look at. Confetti Crayons– These would make great party favors for kids or even a fun craft to do with kids. 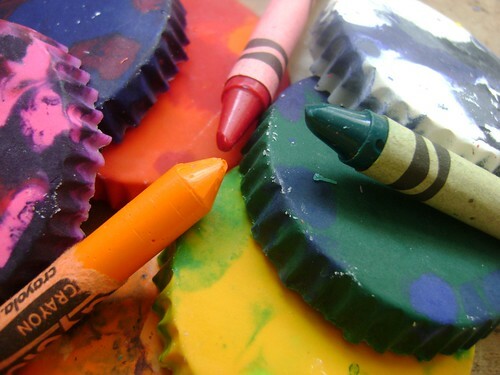 Such a great way to use old and leftover crayons.